Depending on the water level, Table Rock Lake spans between 43,000 and 52,000 acres. Its shore is 800 miles long, and it is a popular vacation destination for fishermen, pleasure boaters, campers, and all water activity enthusiasts. 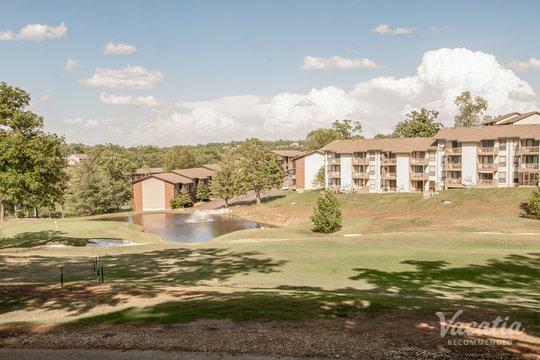 When it comes to finding accommodation in this popular Ozark Mountain locale, most people will be hunting online for the best quality and value. With Vacatia, your search will be easier and faster than ever. 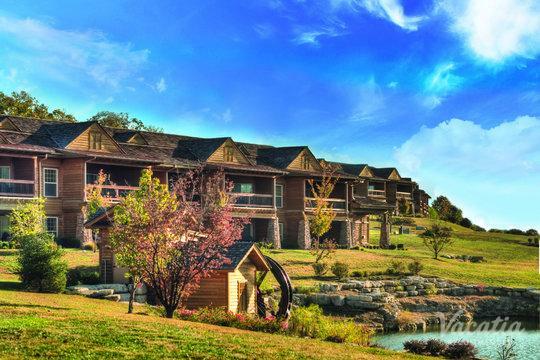 Our large database of Table Rock Lake resorts, Table Rock Lake cabins, and Table Rock Lake condo rentals only contains highly recommended accommodation. Our friendly online representatives are always ready to answer any questions you may have, which means that you'll know exactly what you're getting before you arrive. Discover for yourself why Vacatia earns high levels of customer satisfaction and continued loyalty. 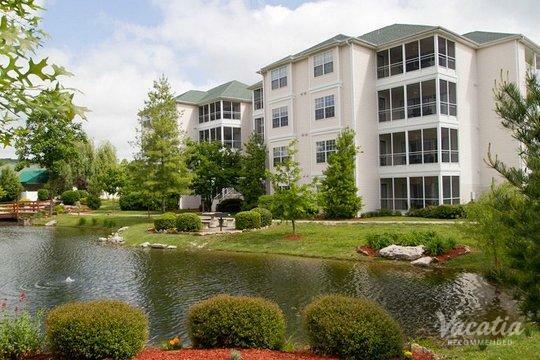 Those in search of Table Rock Lake lodging like to book with Vacatia because we offer a unique kind of accommodation. 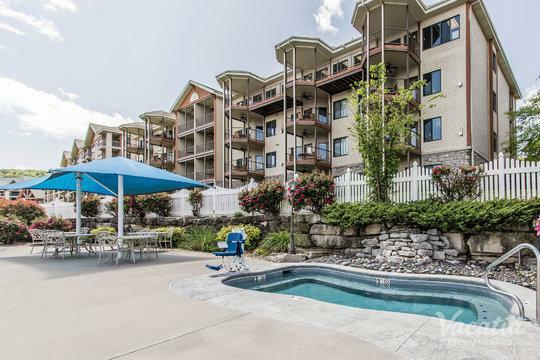 Our Table Rock Lake vacation rentals have all the services and benefits of a high-end resort: housekeeping, 24-hour check in, acclaimed on-site dining, scheduled activities, and more. 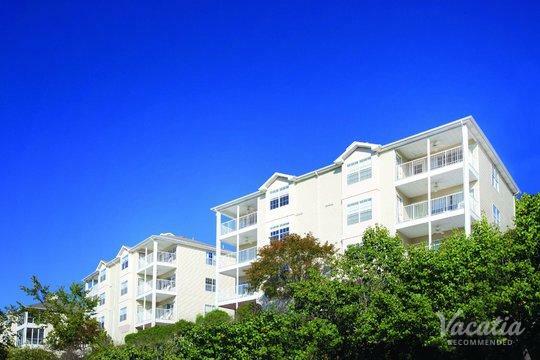 While many vacationers appreciate these luxuries, they also miss the comforts of home. 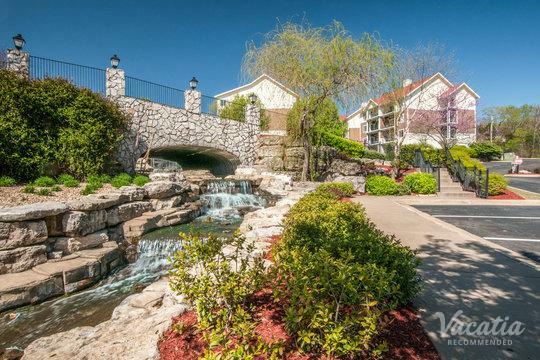 That's why Vacatia's resorts on Table Rock Lake also include units with their own kitchens, living rooms, and dining rooms. Many of these also have in-unit washer/dryers. Not only can you leave the bedclothes and general upkeep to professional staff, you can also cook your own meals and do a quick load of laundry. Having the best of both worlds is what our resort residences are all about. 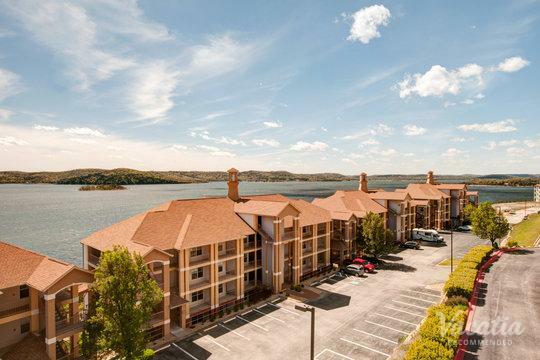 Nestled in the stunning Ozarks in Missouri's southwest, Table Rock Lake provides quick access to Branson, one of the most popular leisure and entertainment destinations in the country. Table Rock Lake itself has much to offer, as well. It has some of the best bass fishing on the continent, and it teems with bluegill, catfish, crappie, bass, and white bass. A thorough fish management initiative has resulted in an amazing resurgence of smallmouth, Kentucky, and largemouth bass of impressive size. Table Rock Lake is now a top destination for professionals and hobbyists alike. 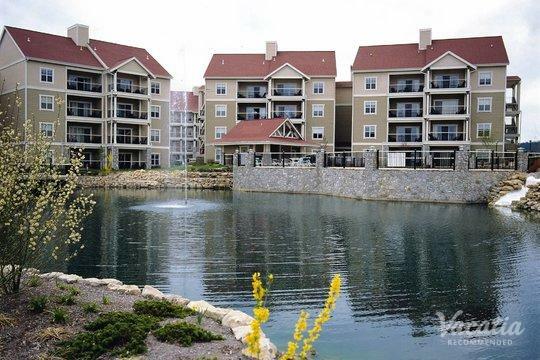 You can also find swimming areas, family picnic areas, and boat launch sites all around the lake. Fully equipped marinas and the resorts themselves offer convenient services, in addition to a wide range of fun water activities. Boat cruises in everything from amphibious vehicles and small pleasure craft to full-sized showboats are available. 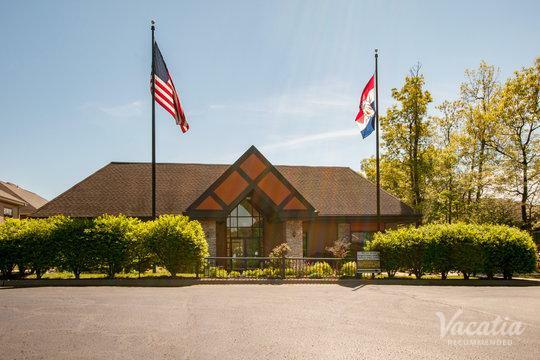 Our Table Rock Lake lodgings provide the perfect home base for your Ozark vacation.